On Wednesday 6 June 2018, we delivered this open letter to Minister Shaw - the day before the consultation on the Zero Carbon Act started. Over 91% of people who submitted backed the most ambitious 2050 target. Now it's your turn - will you sign the petition? 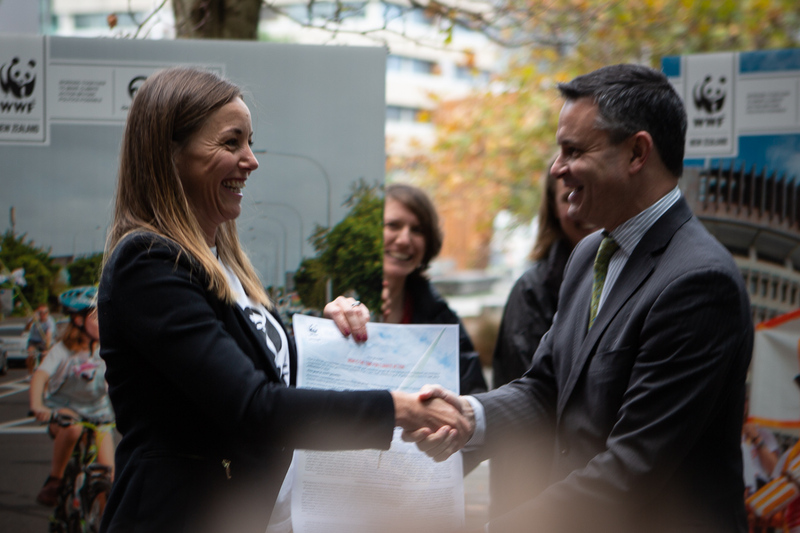 That is why we, as businesses, community groups, and individual people all over Aotearoa New Zealand are writing to congratulate you on your government’s decision to set a new, bold, ambitious goal of getting our country to net zero emissions by 2050. This goal is 100% possible. Businesses, communities, and ordinary Kiwis are already working up and down the country to pioneer the solutions that New Zealand needs to grasp the opportunity to move to a clean energy future. So we’re writing to say that we’ll keep on rising to the challenge of reducing our emissions, and to offer our support to your government as it works to build the architecture for a fair, equitable, just transition to a safe climate future for all New Zealanders. As you begin to design the government systems to achieve this goal, like the Zero Carbon Act, we encourage you to consider the benefits of climate action and the risks and costs of inaction, too. We believe a clean energy economy with net zero emissions is 100% possible, and so we’ll all keep on working to do our bit, big or small, to help make it happen.